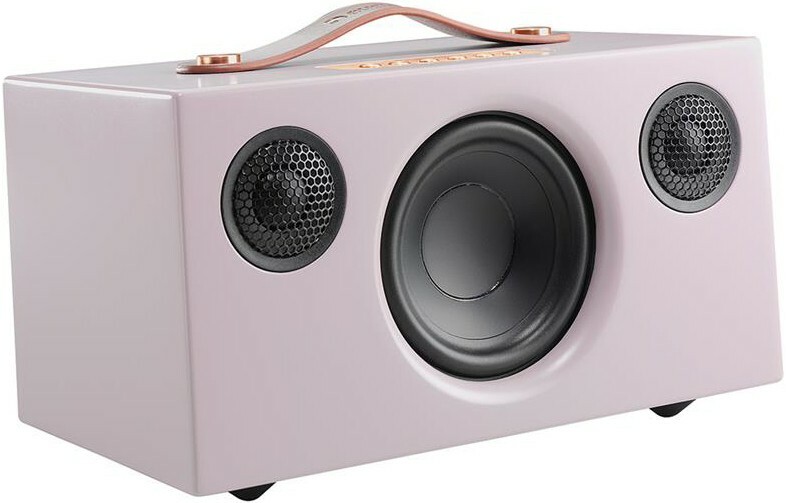 Bigger brother to the T3 model, Addon T5 is a stylish compact speaker with powerful wireless audio. Also available in black, grey, orange or white. Audio Pro Addon T5 is a portable speaker which can play audio via Bluetooth enabled devices. 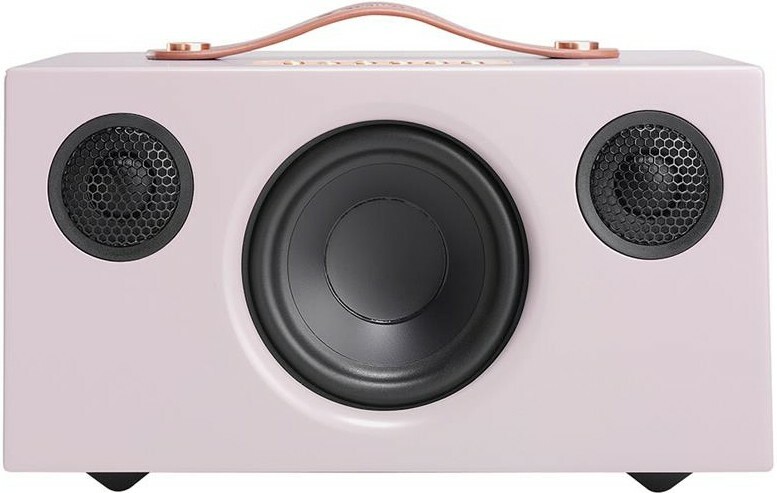 This elegant pink finish adds a personal touch to your speaker giving it a distinctive edge in its 2nd Generation carnation. Addon T5 gives you two convenient ways to listen to your playlist wherever you are. 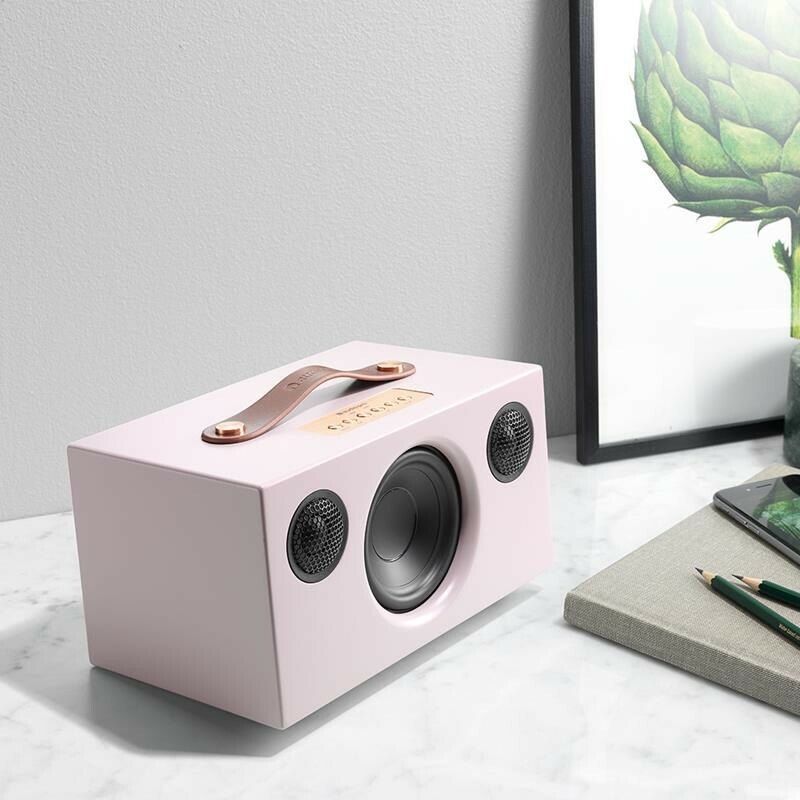 You can choose to pair your smartphone or Bluetooth-enabled device with the Addon T5 and send all your music to your wireless speaker. Users also have the option to connect any device via 3.5mm mini jack located on the rear of the speaker for a wired connection. Achieve a clean and natural sound that effortlessly fills any room with the high-performance Addon T5 powered by a Class D digital amplifier featuring dual 8-Watt 3/4" textile dome tweeters combined with a dynamic 25 Watt 4" woofer. The integrated USB port allows you to charge your phone or tablet easily so you don't have to choose between preserving battery life or enjoying music. It also means you don't need to find a wall socket or take the speaker back indoors. Don't let your device's battery limit your musical enjoyment. The Addon T5 comes in either black, grey, pink or white finishes and features a minimal design for a great statement piece. A leather handle makes it easy to move freely between rooms and locations so you're never without great music. 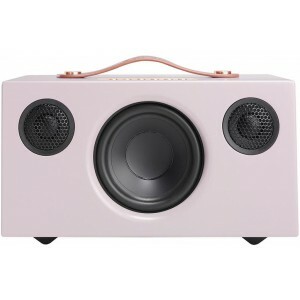 It has the capacity to fill any average-sized room with high-quality powerful music.